We are proud to announce the release of our most advanced Neutral Grounding Resistor (NGR) Monitor, the NGRM700. We are proud to announce the release of our most advanced Neutral Grounding Resistor (NGR) Monitor, the NGRM700. This protective relay offers industry-leading protection providing additional safety on high-resistance-grounded transformers and generators. It exceeds regulatory requirements and exceeds the limitations of other devices on the market by detecting open and shorted resistors in both active and passive monitoring. 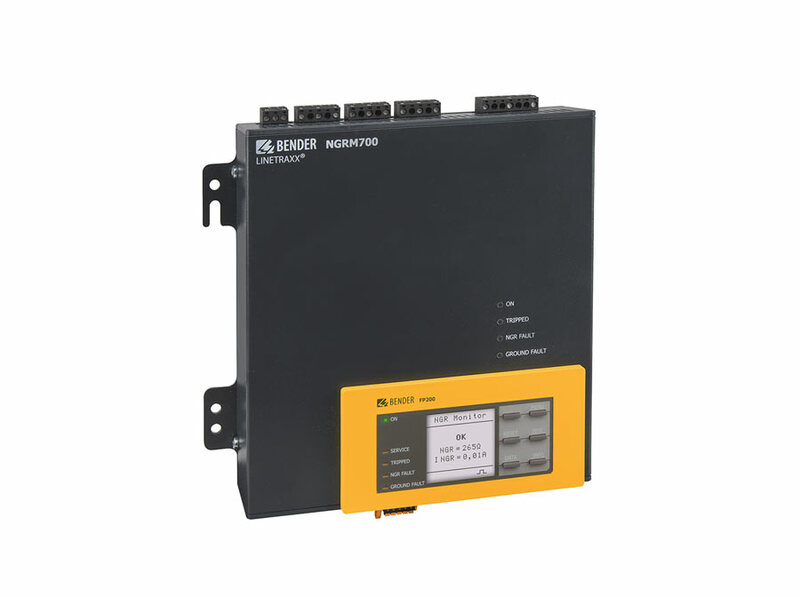 The NGRM700 can detect ground faults by monitoring AC and DC NGR current using selectable filtering. It will also detect a neutral-to-ground fault. It is capable of measuring phase voltages and can indicate which phase has a ground fault, which, combined with pulser control helps to make fault location faster and saves expensive downtime. The detachable graphical display can be panel mounting or attached to the relay. Each unit is equipped with Ethernet communications. Production units are now available for installation.